Please select an option 5 6 7 8 9 10 Please select a Size. This stunning and unique ring will make you the center of attention! 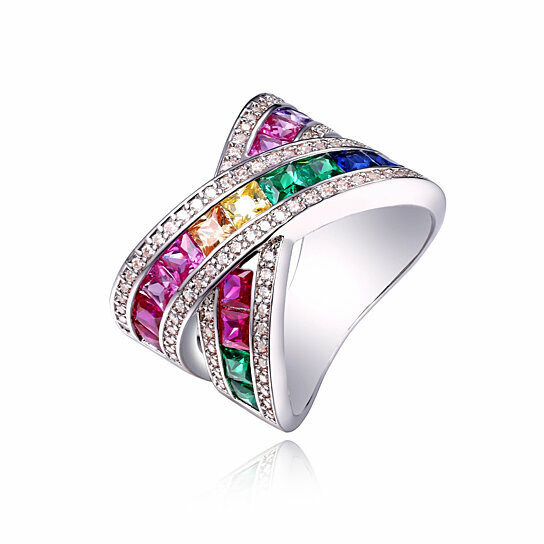 Plated in 18k white gold with rainbow crystals. Guaranteed to retain its original white gold color and content. Made in China.